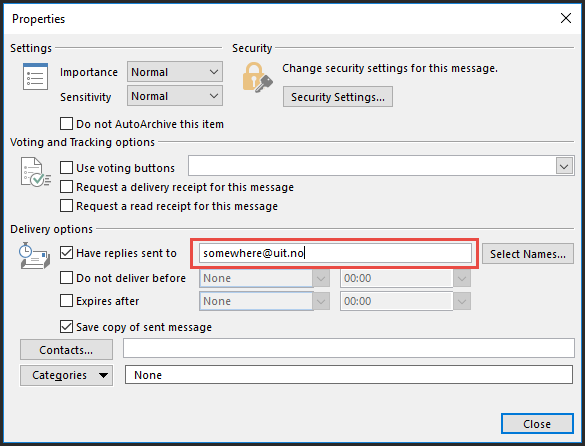 Outlook allows you to choose a separate email address for replies to a mail you send. This is useful if, for instance, you wish to send an email to multiple people and want to direct their replies to a specific mailbox, such as a shared mailbox or a Request Tracker (RT) queue. 3. Select "Direct replies to"